The law is largely followed in Islamabad but in Rawalpindi and Lahore motorcyclists, particularly youngsters, have adopted various tricks to hoodwink authorities and get petrol for their bikes despite having no helmet. 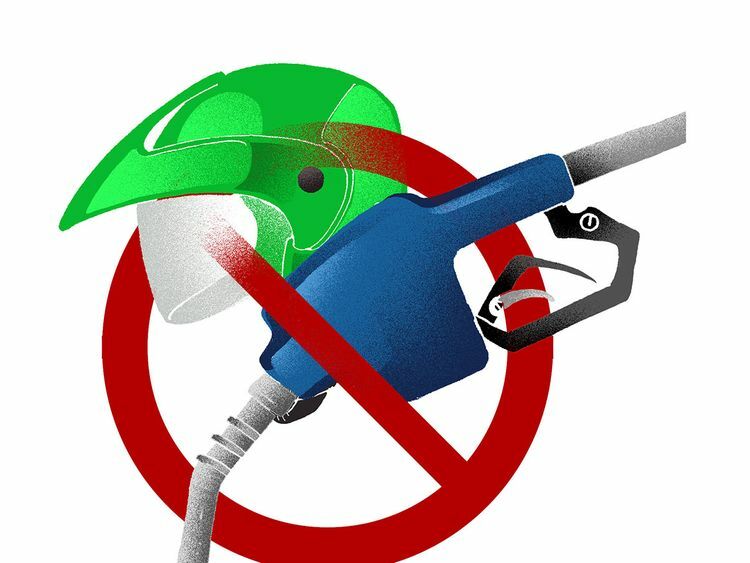 According to the Punjab government’s directions, filling station can give no petrol to riders who are not wearing helmets. The step was taken in order to prevent casualties in the wake of motorcycle accidents. The regulation was introduced in Lahore, Islamabad and Rawalpindi as a pilot project. However, according to reports gathered from CCTV footages and interviews of filling station boys, it has been revealed that bikers without helmet get petrol either with the help of other motorcyclists at the filling stations or workers at the petrol pump. Motorcyclists lend their helmets to the helmetless bikers for a moment to ‘help’ them. Interestingly, all this is done with the knowledge of the petrol pump dealers. In footages uploaded on social media it can be seen that motorcyclists arrive at the filling stations borrow helmet from those present at the pump — either a motorcyclist or a petrol pump boy — get the fuel in their bikes, return the helmet and get away without bothering. In November last year, Lahore High Court declared helmets mandatory for motorcyclists and authorities had fined around 300,000 violating motorcyclists. In Rawalpindi too, a similar ban on petrol pumps is under way though for the time being it has been postponed for a period of 12 days. Talking to Gulf News, City Traffic Police Officer Farrukh Rashid said his teams were monitoring petrol pumps that were violating the orders and would recommend cancellation of their licences as well as take action against motorcyclists.